Dive Site: “HMS Cricket” Wreck DiveLocation: Larnaka Coast CyprusDepth: 33mVisibility: 10m to 25mSituated off Larnaka, this dive is an opportunity to explore an old British battleship that rests upside down on the seabed at 27 metres. This World War Two gunboat survived the wars. It was anchored in Larnaca Bay Cyprus and used for a target practice by the RAF but sank in 1947 due to bad weather. There is a sandy dip under the wreck. 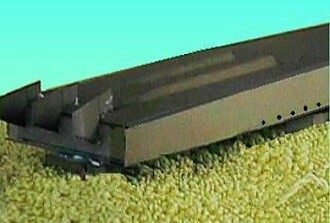 Divers can swim inside the hull through escape hatches and underneath the wreck. HMS Cricket Cyprus shipwrecks, the vessel is also home to groupers and other fish. Visibility is great, some 25 metres. The maximum depth is 33 metres. HMS Cricket Wreck Cyprus IntroductionHMS Cricket Wreck Cyprus, was one of ten Aphis Class (Large China) Gunboats constructed during the First World War to counter Austro-Hungarian monitors on the River Danube. Due to be scrapped in 1939, her life was extended by the outbreak of the Second World War. 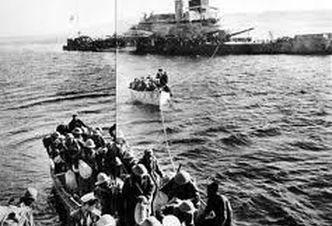 Her ultimate fate is not currently understood, however, an Aphis class gunboat, popularly known as ‘the Cricket’ lies on the seabed north-east of Larnaca, Cyprus. 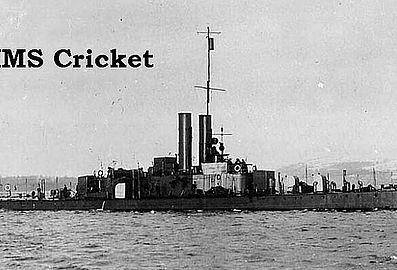 Cricket T75 Barclay Curle 1916 Bombed by German aircraft off Tobruk 30/6/41, sold & scrapped 1941. This class was laid down in WWI to engage Austro-Hungarian monitors on the Danube. The latter were armed with 5.9″ guns and could steam at 13 knots. This dictated that the RN ships must have 6″ guns and steam at 14 knots. They were curious in that the bulkheads were un-pierced, and to get to the next apartment required leaving via the roof hatch, out and back in the next roof hatch! Those that survived the Japanese attacks on ‘China Station’ were moved to the Mediterranean and were modified with captured Italian guns.